Using a wedge of lime, wet the edge of your glasses and dip in rokz watermelon cocktail sugar. Garnish with rokz watermelon sugar and a slice of lime. 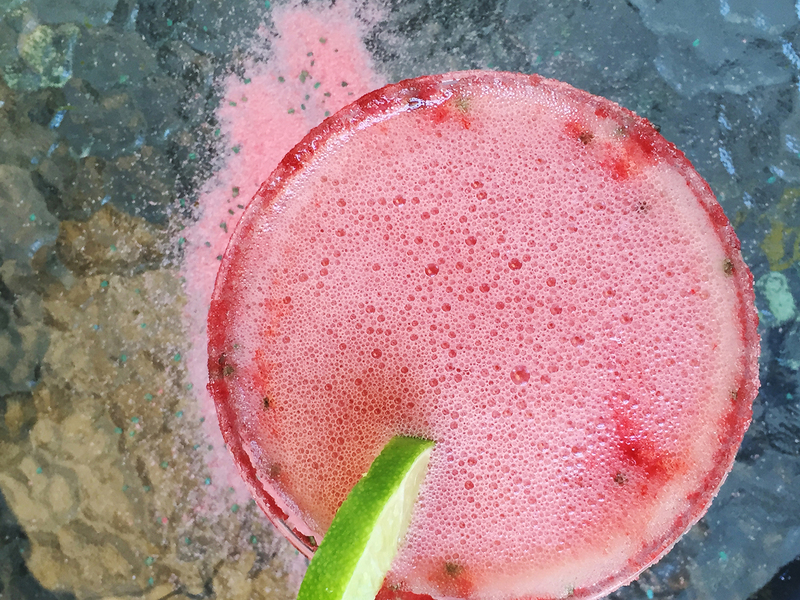 For an extra fun presentation dip half of your lime wedge into the watermelon sugar and sprinkle a pinch of it over the the drink.